Visit the AHZ Associates Office in Dhaka on 16th of April and meet the QA Higher Education from 11AM-5PM. Don’t miss this great opportunity to discover new chances for your future studies! Register and find the right University for your studies in UK. Meet the UK Leading University Representatives. Bothered to come alone? 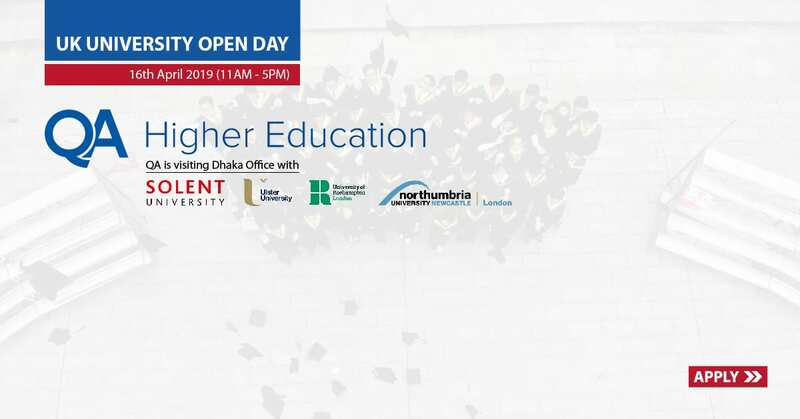 Bring your friends and family members and enjoy the QA Higher Education Open Day in Dhaka.